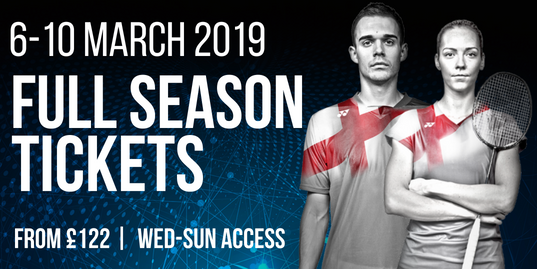 With a rich 109-year history, the world’s biggest and best badminton tournament returns to Arena Birmingham in March 2019. 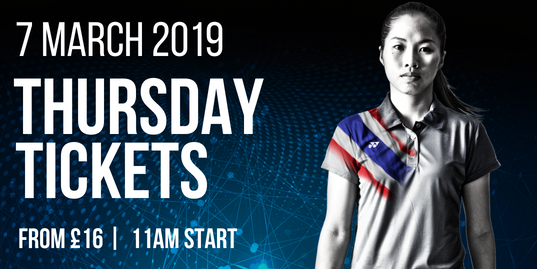 Now a top tier event on badminton’s World Tour, the YONEX All England brings all the best players from around the globe, including World and Olympic champions - each ready to wow fans all over again. 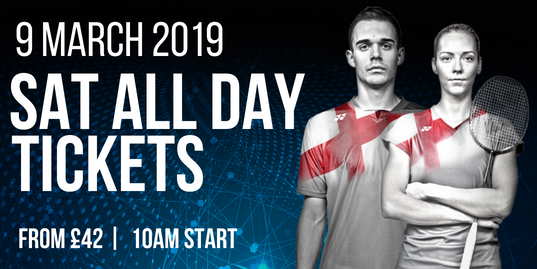 Record breaking, sell out crowds buzz with national pride and passion – and 2019 promises to bring you a sporting experience that is nothing less than extraordinary. 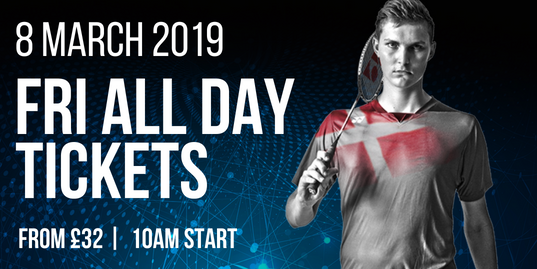 And with tickets starting from just £16 for adults, the YONEX All England offers a great value day out that will inspire the family. Enjoy unlimited access to every magical minute of every day of the Championships’ action. Now 25% cheaper than buying day tickets, it’s the ultimate deal for fans. 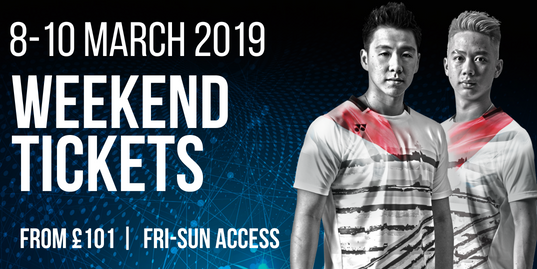 Support your heroes all the way from the Quarter Finals to the podium on Finals Day with our hugely popular weekend saver ticket. Get Friday to Sunday access with a 20% saving on day tickets. Catch all the opening day action as the big name players get their title challenges under way. Indulge yourself with 14 hours of non-stop match play. 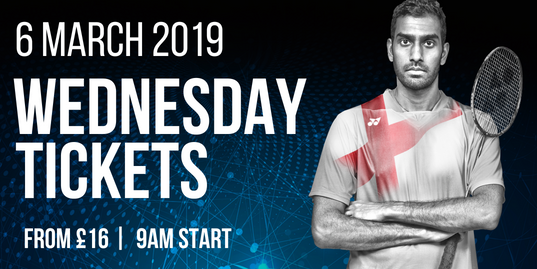 Get set for a thrilling Thursday with 40 matches that deserve your attention, featuring all of your favourite stars. A Friday night out like no other! 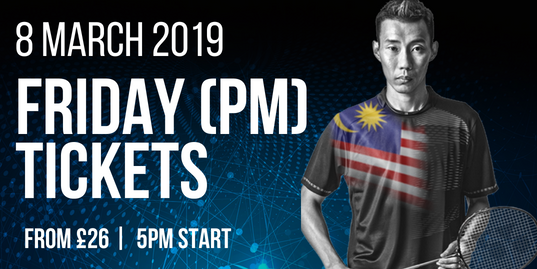 Enjoy an evening of Quarter Final excitement after work - played out under the arena lights. All the Quarter Final action - all Day. 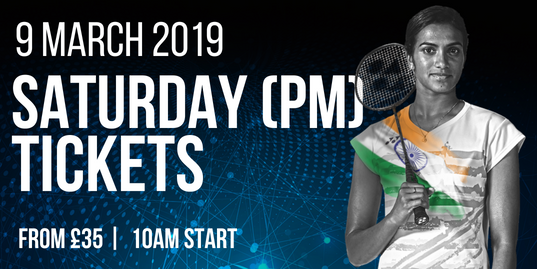 Get unlimited access to 10 hours of world class badminton as the race for titles hots up. 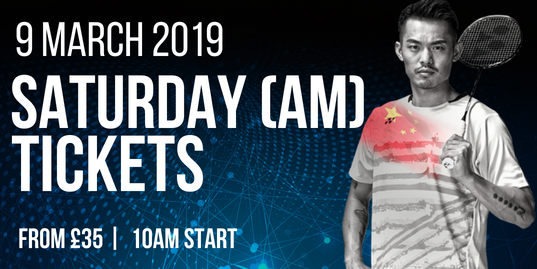 Be there for a Saturday morning shoot out to make the final as five action packed Semi Finals. Enjoy a prime time Saturday evening experience as part of a sell out crowd with all eyes set on 5 semi finals. 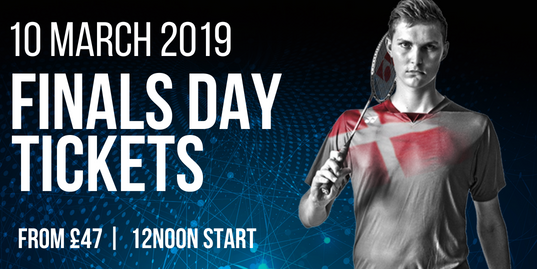 Don’t miss a single moment of Semi-Final Saturday action with an all day pass offering you unlimited access to 10 matches. Sunday’s are for crowning champion - so be part of all the drama as history is made. 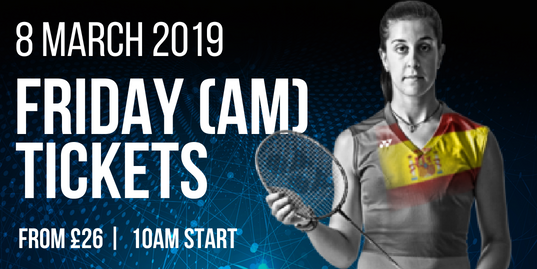 Book your seat for Finals Day and pre-match show.